Venla is at the stage where she can go all day without a nap but is very cranky towards the end if she does. Sometimes she has one, sometimes she doesn’t. 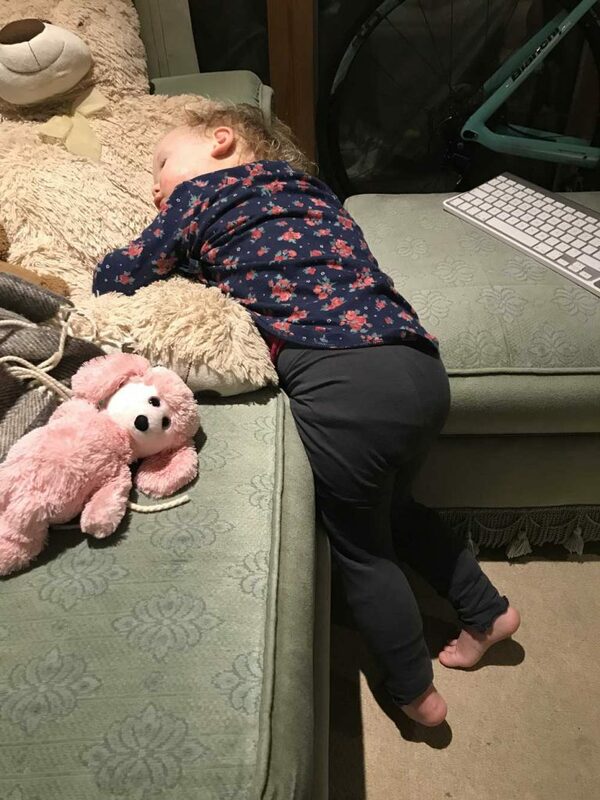 This means she often gets home from daycare very tried and sometimes has a nap out of sheer exhaustion. 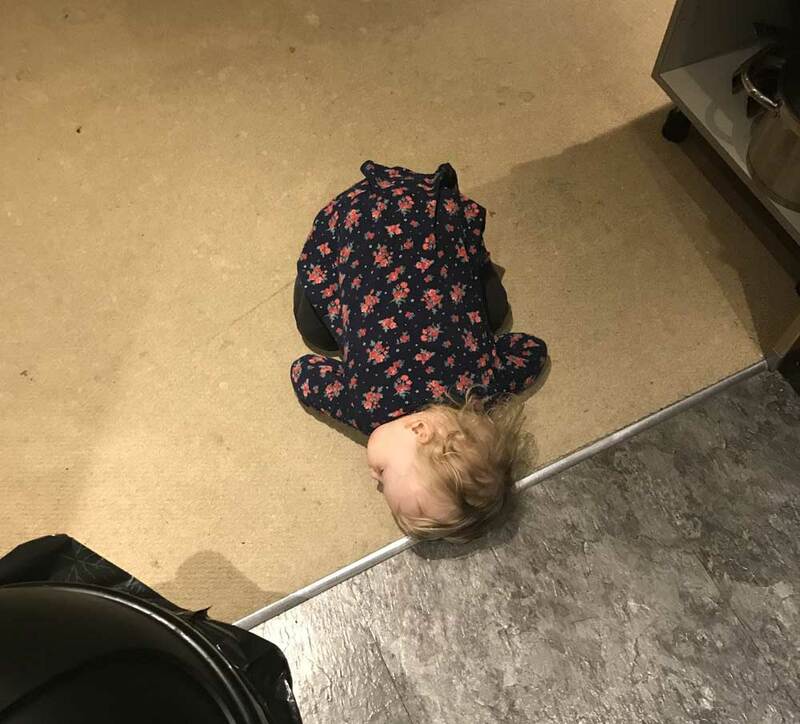 For example, here is a nap she had while standing up. Another time, I allowed her to have a 30-minute nap on the sofa. But then I needed here awake so she didn’t wake up too early the next morning. So, I picked her up and sat her next to the kitchen where I was making dinner. She went to sleep anyway. This entry was posted on Tuesday, March 26th, 2019 at 11:00 am and is filed under Family & Parenting, Photos. You can follow any responses to this entry through the RSS 2.0 feed. You can leave a response, or trackback from your own site.